Assorted colors blend and burnish easily. Drawing paper or other toothed papers give best results. Chalk can be flaked into water for brilliant unique paper marbling effects. Draw bold colors on wet paper for other unique effects. Use with Prang Fixative. Stick size: 3-3/16" x 7/16". AP certified non-toxic. 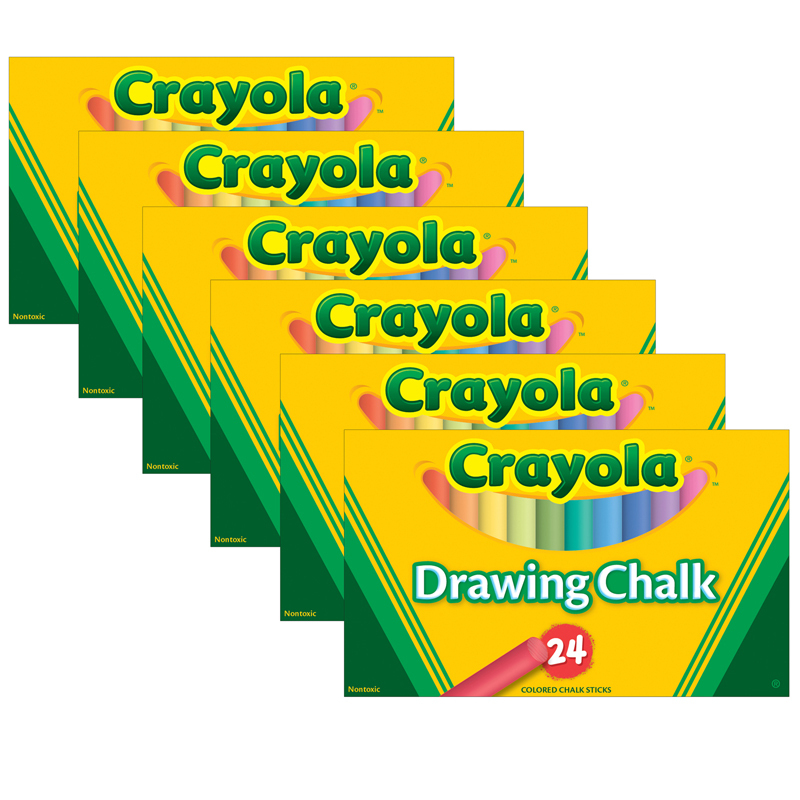 Each box includes 12 pieces of paper chalk. Sold as 6 boxes for a total of 72 pieces. 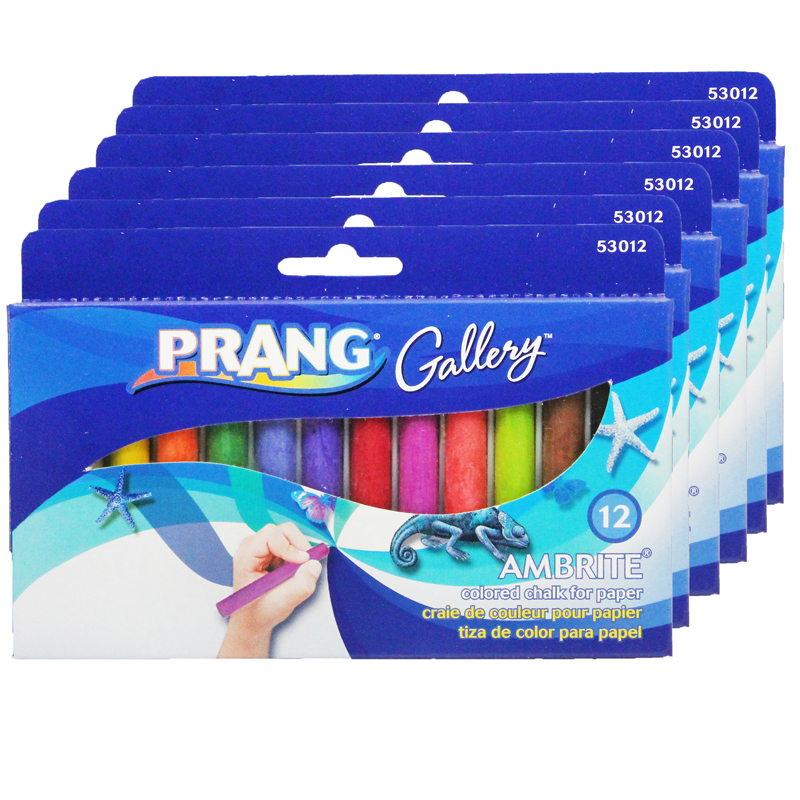 The (6 Bx) Ambrite Paper Chalk 12 Colorper Bx can be found in our Chalk product category within the Arts & Crafts. 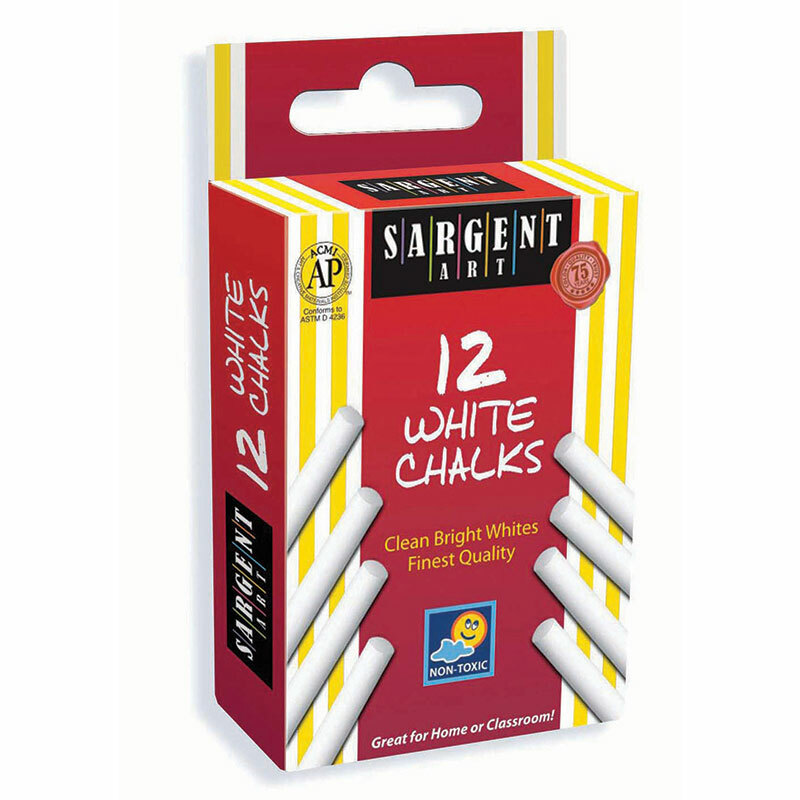 White Chalks marks smooth and erases easy from blackboards or chalkboards. Non-toxic and conforms to ASTM D 4236. Each box includes 12 pieces in white. Sold as 48 boxes for a total of 576 pieces.